When his longtime partner on the force is killed, reckless U.S. Secret Service agent Richard Chance (William L. Petersen) vows revenge, setting out to nab dangerous counterfeit artist Eric Masters (Willem Dafoe). Along with his new, straitlaced partner, John Vukovich (John Pankow), Chance sets up a scheme to entrap Masters, resulting in the accidental death of an undercover officer. As Chance’s desire for justice becomes an obsession, Vukovich questions the lawless methods he employs. 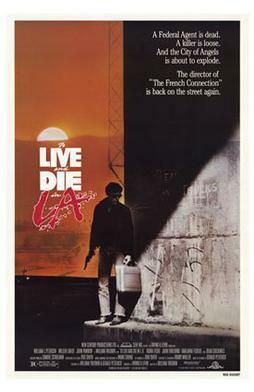 Tagged Logan's Movie Reviews, To Live and Die in LA. Bookmark the permalink.